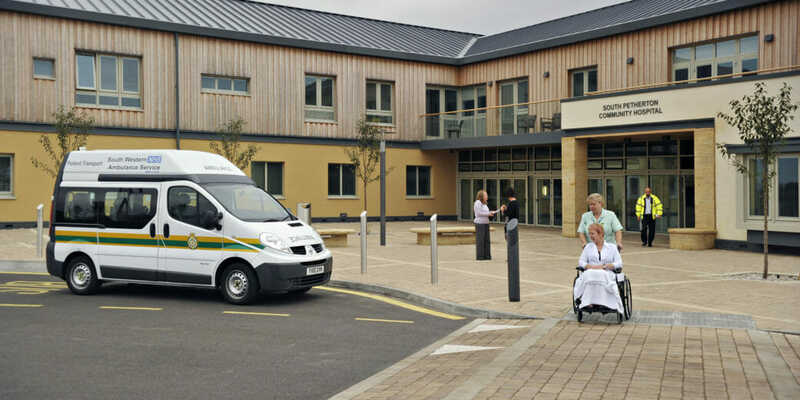 The new community hospital for South Petherton was designed to take full advantage of the marvellous views from its hilltop site with most of the 24 inpatient bedrooms having their own balcony overlooking the Somerset countryside. 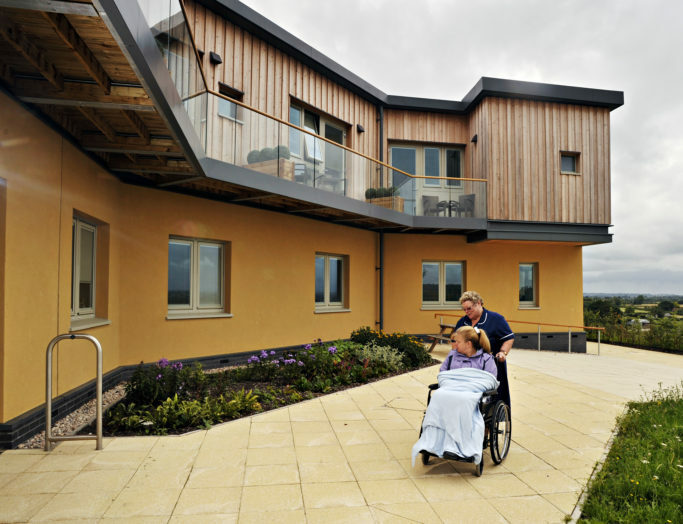 These bedrooms provide South Petherton Hospital an excellent environment for the patients in what has been designated the regional centre of excellence for stroke rehabilitation. 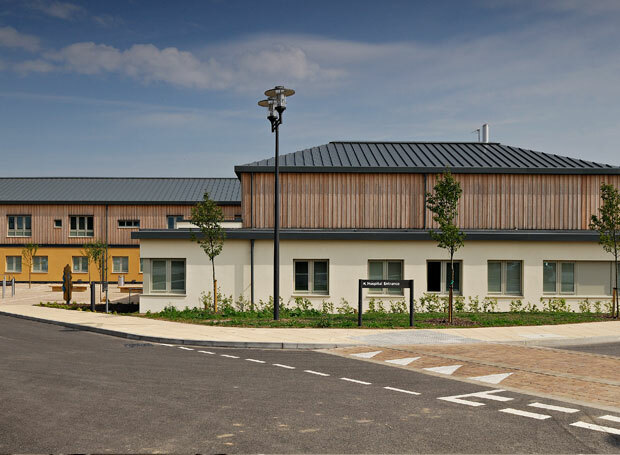 South Petherton Hospital was designed to reflect its rural setting, with pitched roofs breaking up the form of the building and timber cladding to reflect the adjacent woodland. 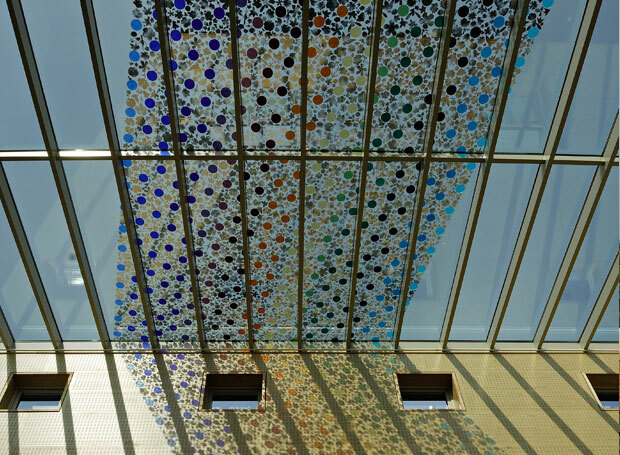 The entrance/waiting area is a top-lit double height space with a coloured glass art installation which projects changing patterns on the wall and the floor. 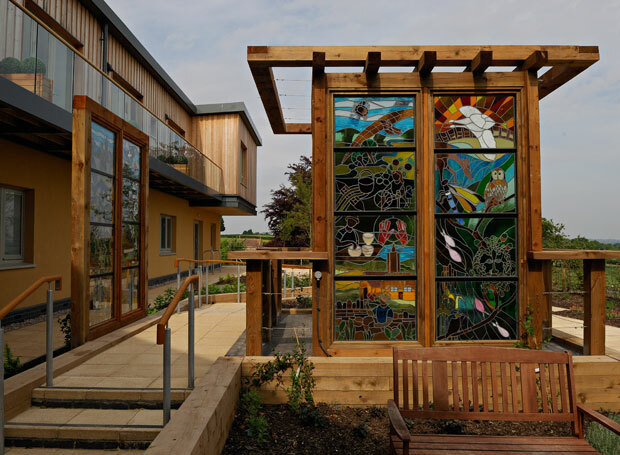 Throughout the grounds there are additional works of art which enliven the patient areas and form a dedicated therapy garden for the rehabilitation of patients. 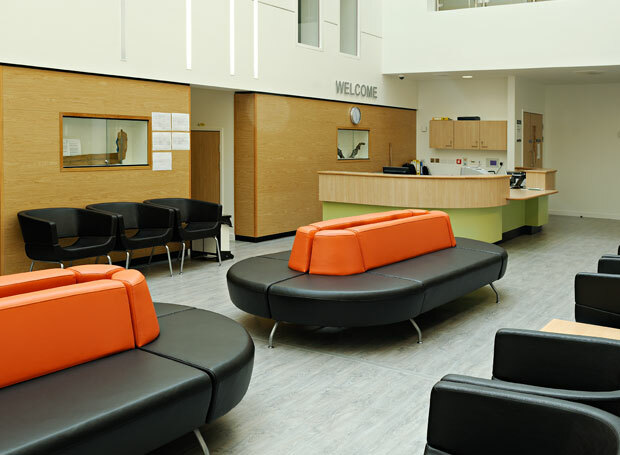 The hospital also includes a health and well-being centre providing outpatient services, a therapies department and X-ray facilities. The wheelchair assessment unit provides customised mobility solutions for patients. 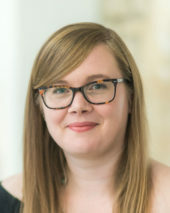 Founder and Director of DKA with experience in the design and construction of most building types, including healthcare, education, commercial, leisure and residential in both public and private sectors. Experienced in feasibility and urban design studies, David is responsible for running the design studio and retains a personal involvement with projects in the office in all stages of the design process, particularly at concept and sketch design stages. After qualifying in 2002 Adrian joined DKA in 2004, where he has gained a wide range of experience in healthcare, community, industrial, leisure and residential projects. 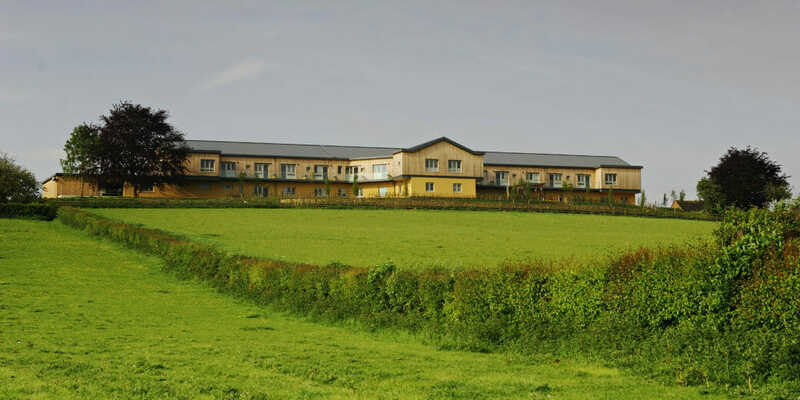 Recently he has been Project Architect for two new community hospitals in Somerset, providing him with a thorough knowledge of the latest healthcare regulations and successful experiences working with two of the country’s leading contractors on the Procure 21 framework.